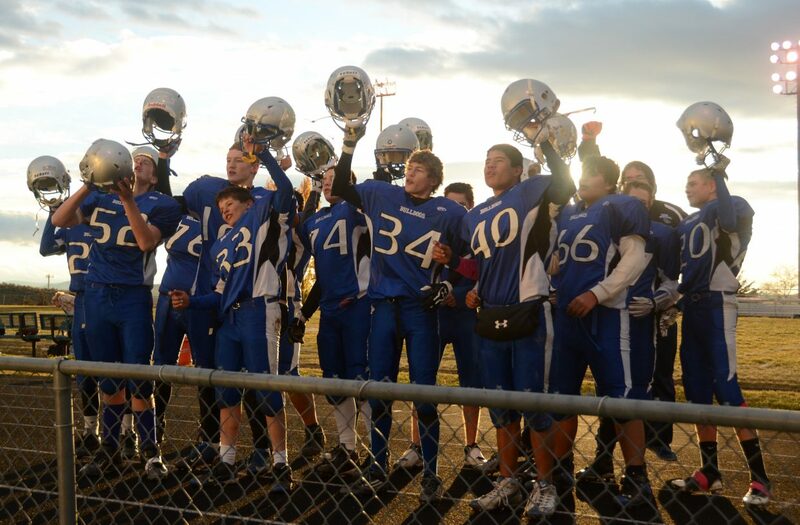 Moffat County football is moving down to Class 2A for at least the next two seasons, as the 2014-16 cycle for the Colorado High School Activities Association begins this fall. With the 2013-14 athletic year finished, Moffat County sports have the summer to prepare for a new season that will bring many more changes for the Bulldogs. The sports seasons beginning this fall kick off the 2014-16 Colorado High School Activities Association cycle, which runs two full school years through the 2016 spring sports season. Every two years, CHSAA revisits its classifications and shuffles schools into their appropriate spot, based on how school enrollment numbers have changed. During the last cycle, most MCHS sports moved down from Class 4A to 3A, seeing a host of new league opponents on the Western Slope throughout the past two seasons. In the upcoming cycle, the big change is coming for the sport that didn’t move down previously: football. Moffat County football is moving to 2A from 3A this season. Because football has seven classifications instead of the five or fewer used in other sports, the 3A teams from the Western Slope match up closer to 4A teams from the Western Slope in other sports. Now in 2A, Bulldogs football will play league opponents similar to the ones seen in basketball, volleyball and soccer — Coal Ridge, Grand Valley and Aspen among them. However, in football, Gunnison and Olathe were moved into a Southwest League, making them teams against whom Moffat County won’t compete for a WSL championship. Other sports remain in their current classifications, with boys and girls swimming and golf in 4A (there are only two classes in those sports) and the rest (baseball, basketball, cross country, soccer, track and field, volleyball and wrestling) in 3A, but some sports will work through changes within those leagues. The enrollment numbers for wrestling used to line up with other non-football sports but have been changed based on the number of schools participating. That will move about 20 teams from 4A into 3A wrestling, several of which are on the Western Slope. One of the teams making the move down will be Steamboat Springs. In 3A girls soccer, the team from Rifle was granted the chance to play down for this cycle. The Bulldogs and Bears squared off in a game last season with Moffat County winning, 6-0. Next year, the matchup will count toward the league standings.